Wahl Paw Print Apron is a protective grooming apron which has been designed to ensure the wearer is protected from the natural hazards of bathing and grooming their pets. The apron is made from durable, splash-proof microfibre. Designed with a full lining, it will move with the wearer rather than stick to clothing and become distracting and uncomfortable. Fitted with a small storage pocket to the right side, the apron will repel the loose hair generated through grooming or clipping and ensure that only the pet gets wet at bath-time. Both the neck strap and the waist strap are adjustable ensuring complete versatility. 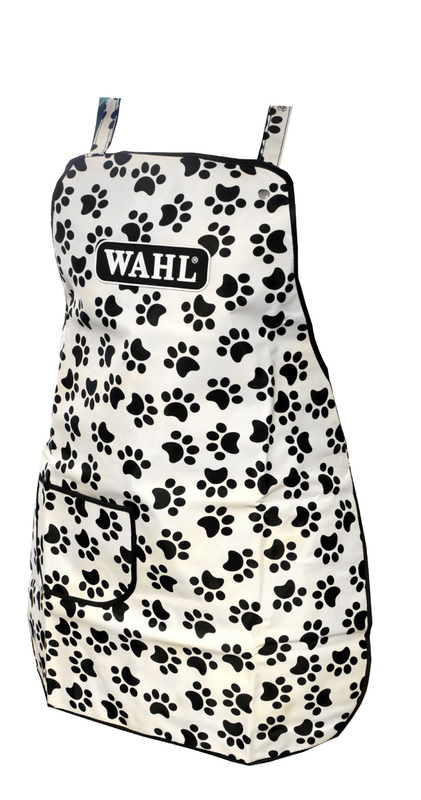 There are currently no questions for Wahl Paw Print Apron - be the first to ask one!